Francis Denzil Edward Baring, 5th Baron Ashburton (1866 - 1938). Sitter: Francis Denzil Edward Baring, 5th Baron Ashburton (1866 - 1938). Biog: Landowner; Major, Hampshire (Carabiniers) Yeomanry. 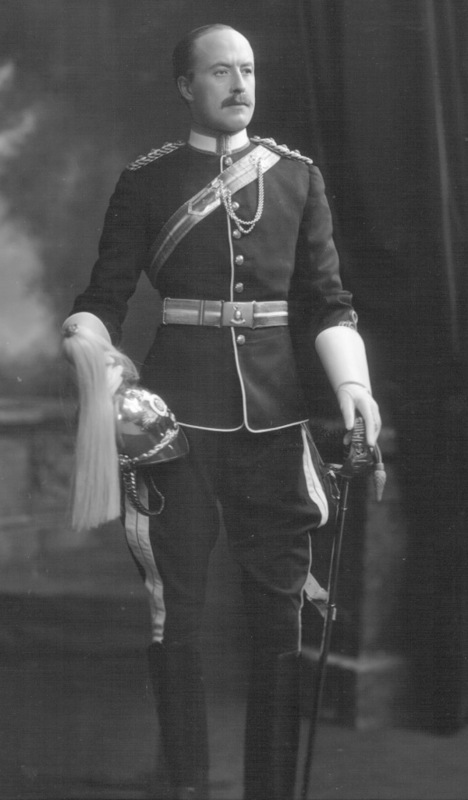 Costume: Full Dress uniform, Captain, Hampshire (Carabiniers) Yeomanry. Biog: Burkes' Peerage; Who's Who; The Army List, 1903; The Times, 1 July 1938, p 19d.